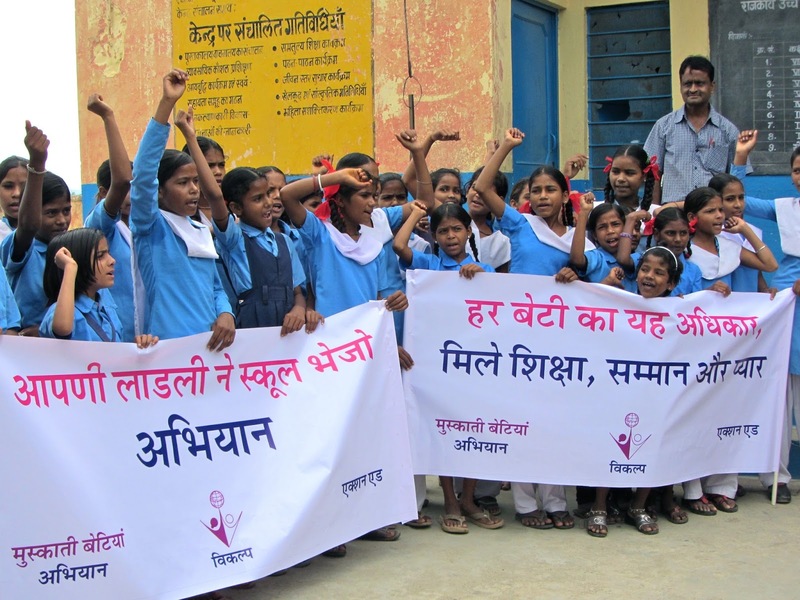 “We are the girls of India and we don’t want to sit at home!” That’s the chant that could be heard throughout the streets of the Eklavya Bhila Rana colony during yesterday’s Girls’ Education Rally. 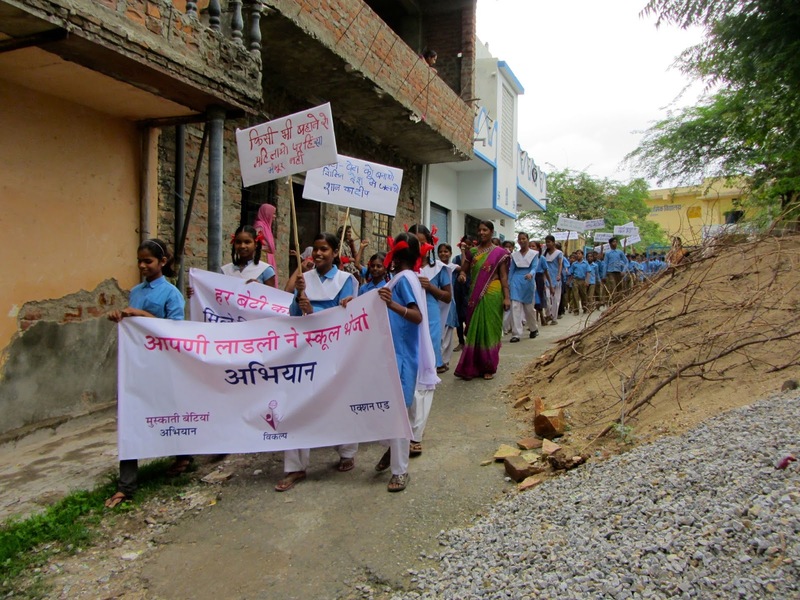 Male and female students of all ages from the local government school marched through the streets with banners and signs advocating education for all of India’s youth. Residents stood in their doorways to observe the commotion outside. Check out the photos below! The group prepares to take their cause into the streets of the community. Overtaking the streets like a river of blue, the voices of the rally could be heard loud and clear throughout the colony. Savita, one of Vikalp's fieldworkers, shows her support for the cause. 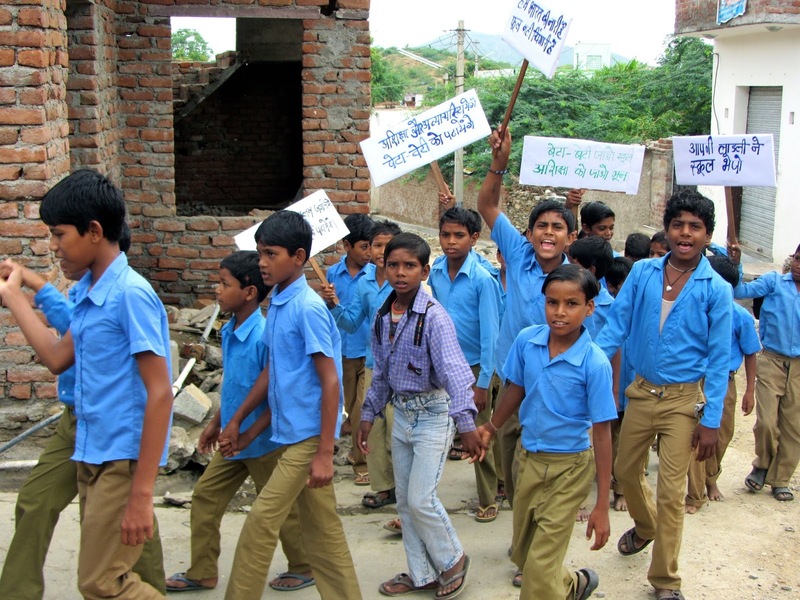 The boys show their support for allowing their sisters to go to school. "We are the girls of India, and we don't want to sit at home!" An FSD intern designed health survey is being conducted in the Eklavya Bhila Rana, Eklavya Mogiya, and Eklavya Bhil communities to gain a better understanding of adolescents’ health knowledge and needs. Youth are answering questions about their health and health knowledge, school attendance, nutrition, self-esteem, social relationships, discrimination, and reproductive health. To add some fun to an otherwise serious day, plenty of paper and colored pencils were provided to draw the things that make the kids feel happy. Check out the photos! The older girls fill out a health survey while the younger kids draw colorful pictures of the things that make them smile. Adolescent girls discuss their answer options on the health survey they are completing. Children from the Eklavya Mogiya and Eklavya Bhil communities use colored pencils to draw what makes them happy. Girls from the Eklavya Bhila Rana community share a laugh at the end of the day. A current FSD intern organized a boys versus girls team game of English Pictionary in the Eklavya Bhila Rana, Eklavya Mogiya, and Eklavya Bhil colonies. The afternoon started with everyone introducing themselves in front of the group. Then, everyone divided into two teams to play the game. A list of words that included peacock, camel, sunset, umbrella and candle led to some creative drawings. The score was close, but in the end, the girls were victorious over the boys! Check out our pictures from the day! The boy's team watches as their teammate begins to draw in hopes of guessing the English word before the girls' team! The girl's team celebrates winning a point over the boys! Organizing such a large group of kids for a game can be quite a challenge!